The year was off to an interesting start, in part due to the government shutdown and the significant volatility increase year-over-year. And while the initial product development cycle stalled, momentum was quickly restored after the SEC re-opened and NYSE Arca launched 39 new ETFs in the first quarter alone. As always, it was fantastic to catch up with our ever growing ETF community at Inside ETFs. The event has become one of the pre-eminent opportunities for many of us around the world to meet in person each year, and this February was no different. Hopefully most of you had the opportunity to hear from NYSE President Stacey Cunningham, who reinforced the importance of ETFs and enhanced market structure to the NYSE’s strategy for industry growth. The NYSE ETF team is energized and excited about what’s in store over the next few months, with a strong pipeline of new products, exciting regulatory filings, and our upcoming plans to list ETFs on the New York Stock Exchange itself, so they can trade on the NYSE Floor. 2019 is shaping up to be another transformative year for the NYSE and the ETF industry more broadly, and we are excited to work with you to achieve your business goals. NYSE Arca has the most market share in trading volume. Around 82% of all U.S. ETF AUM is listed on NYSE Arca. NYSE Arca has the narrowest quoted bid/ask spreads. As the home of ETFs, we are now delivering even more analysis, content and ETF trading data on our website to better serve the industry and to help inform global investors. We recently added new insights and trading analytics, powered by ETFLogic, to provide real-time trading snapshots, ETF trends including a heatmap of ETF returns, volume data, inflows, liquidity profiles across the industry ETFs, as well as performance data across sectors and regions. Bookmark our page now (and scroll to the bottom to see our ETFLogic content) for your go-to resource for ETF performance data and insights. In a historic development, eligible ETFs will be able to directly list on the NYSE and trade on the NYSE Floor for the first time. We expect to roll out this program to all issuers by mid-year. 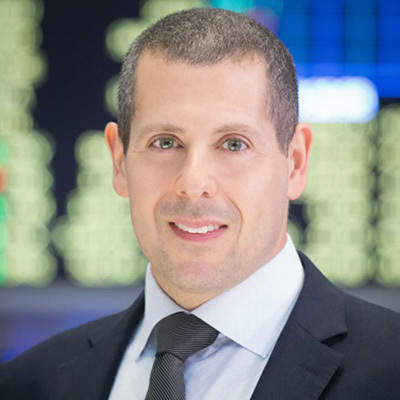 ETF issuers who choose to list their products on the NYSE will benefit from having a NYSE floor specialist, called a Designated Market Maker (DMM), responsible for trading their ETF. NYSE’s DMMs are obligated to maintain fair and orderly markets in the securities they are responsible for, and provide liquidity during crucial moments in the trading day: including the Opening and Closing Auctions, as well as during times of increased volatility. Very soon, ETF issuers will have the choice to list their ETFs on either the NYSE or on NYSE Arca. Regardless of which market ETF issuers choose, they and their investors can feel confident that they will benefit from being a part of the highest quality and most liquid ETF market across the globe. You can read more about this development on LinkedIn. The U.S equities markets may be fragmented across 13 distinct trading exchanges, and even more dark pools and alternative trading venues; however NYSE Group continues to provide the global investment community with the deepest pools of liquidity across our entire exchange family. NYSE Arca, the Home of ETFs, continues to boast the largest single exchange’s share of ETF trading activity with approximately 20 percent daily market share - over 46% percent more volume than our nearest exchange competitor. Moreover, since introducing ETF trading on NYSE in April 2018, ETF trading activity has quickly accounted for more than 3 percent of daily volume. On any given day, NYSE Group’s share of all ETF trading has grown to over 25% - greater than any other exchange group worldwide. This year, the NYSE has launched "Insights" — a comprehensive content platform to support our listed issuers. This includes two new interview series including "Slice" — conversations with CEOs and innovators, and "Walk this Way" — a behind the scenes look into the workspaces of great companies. Even more specific to the ETF world, we launched ‘WhatstheFund?’ #WTF - a new Facebook and social media channel dedicated exclusively to ETF industry news. These programs, coupled with our podcast "Inside the Ice House" are designed to amplify the marketing efforts of the NYSE community. Visit nyse.com or follow us across any of the social media platforms to see the newest content, and reach out to our team to learn more about having your company and/or ETFs featured. In February, the NYSE filed Generic Listing Standards for ETFs that track an index of Municipal Bonds. If approved, this filing would allow ETFs that track municipal indexes to come to the market with less cost and greater efficiency, saving ETF issuers time and money. This will be an important expansion of the generic listing requirements for passive fixed income ETFs, and an evolution of the original NYSE ETF industry approval from 2008. In March, the NYSE filed to broaden the Active Generic Listing Standard to provide added flexibility for ETFs that hold mortgage and other asset backed securities. If approved, this will be a significant incremental step in expanding the Active ETF listing standards, and will provide portfolio managers additional options for investment. We will continue to provide timely updates on approval status during the second quarter of 2019.